Qatar Development Bank (QDB) said it had received an overwhelming response from investors for the Phase One of its Al Furjan markets project. 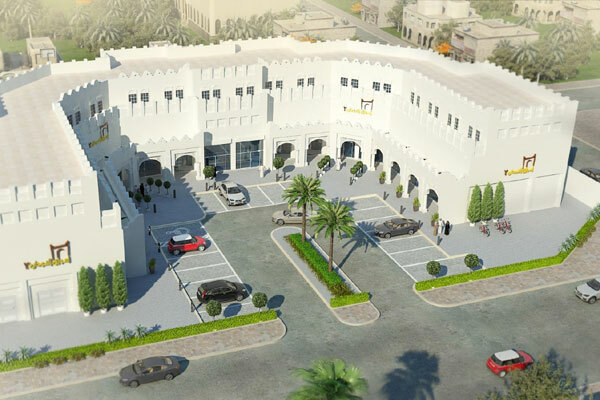 The Al Furjan Markets project is a unique initiative launched in collaboration with a number of the government sectors, in cooperation with QDB, which is handling all construction work for the project. The bank got 13,266 applications from the opening date on October 21 till the closing on November 19. QDB will host a raffle award ceremony on December 11 at Four Seasons in Doha to select the investors in its Al Furjan Markets project and also inform people about the facilitation and improvements being made by QDB. The Qatari bank said an integrated electronic system had been developed to allow applicants to apply for the Al Furjan markets Project through its mobile application and then take part in the raffle to win the 45 retail stores which are up for grabs in the the first stage. Commenting on the selection process, CEO Abdulaziz bin Nasser Al Khalifa said: "We are elated to have received a tremendous response for the Phase One of Al Furjan Markets project raffle draw, which is managed by QDB for the first time in a form of an integrated electronic system." "The vast participation is a great indicator for QDB’s success in overcoming the obstacles and difficulties that might complicate any procedure associated with the raffle draw for applying to the vacant shops, as well asensuring a smooth automated process of registration for applicants, it also reflects the citizens’overwhelming response of this project," he stated.